Rates are set at 75% to disable the "auto-flip" mechanism. Model Setup for DJI Naza-m also tested on a DJI Phantom. Taranis setup for an Arducopter-based multicoper with Analog battery voltage monitoring, announced flight modes, in-flight parameter tuning, RSSI and flight-battery announcing. 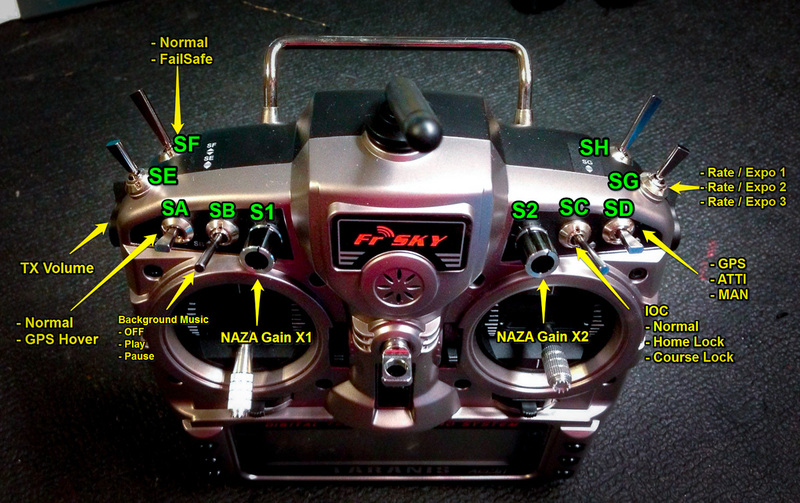 Naza setup with flight modes, IOC, hover, failsafe, gain, background music, rates and expo. Includes custom sounds and image with switch references. Simple config for a KK2-based multicopter with A2 main-battery voltage monitoring. 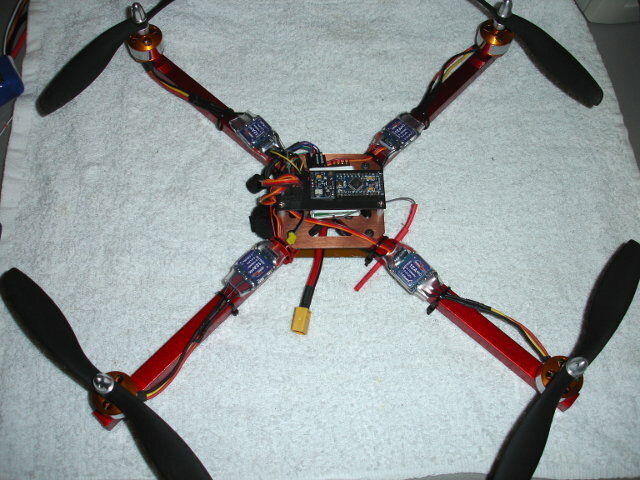 This is an example showing camera gimbal control with the aileron/elevator stick when SG is set to the middle position. This has a basic MultiWii style throttle kill (zero throttle, left yaw) and will need to be adapted for other flight controllers or settings. 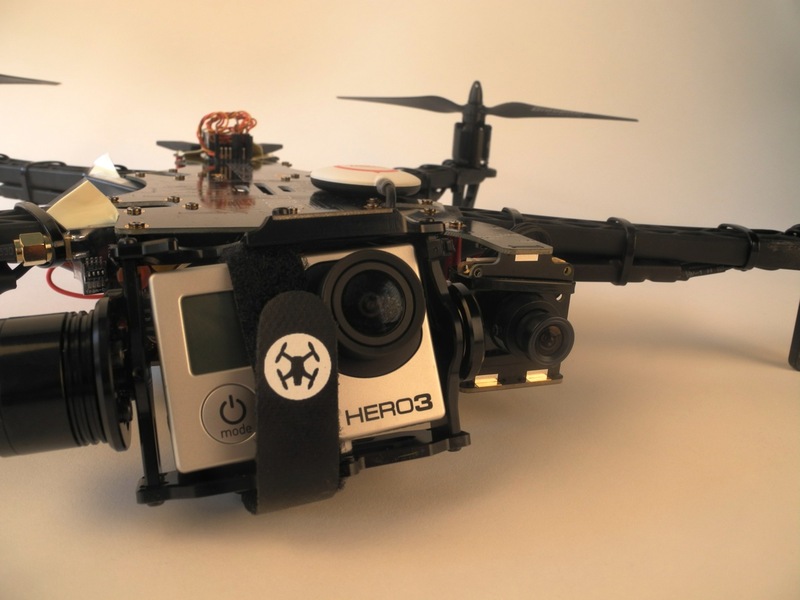 Fly your quad with your head! 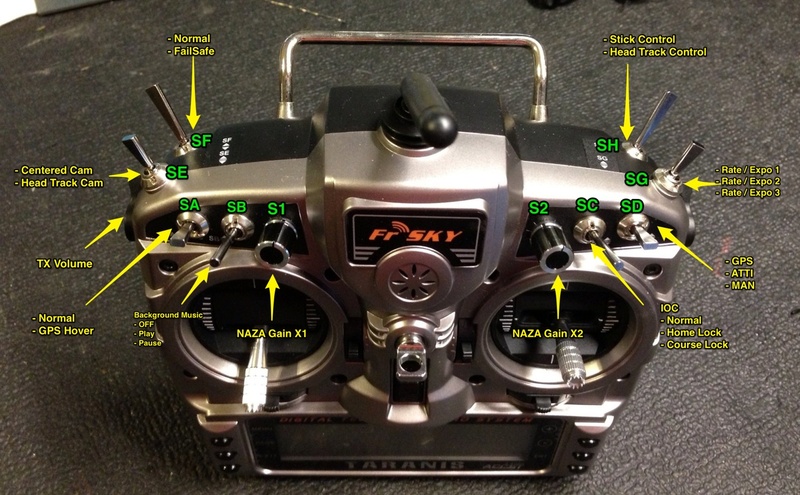 This model config makes use of the very reliable and accurate FS Trinity head tracker (beta) to actually control the quad's yaw, pitch, and roll! Yes you can simply lean, tilt, and turn your head to fly. 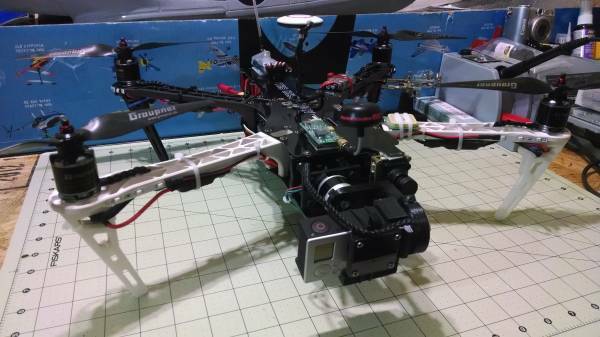 Alot of interesting features and tweaks in this Taranis model config. Additionally there is alot of programming and interaction with an onboard pan/tilt cam .. The setup is with sound. Taranis model file for the TBS Discovery Pro. Basic setup to control the Naza, gimbal and camera switch. 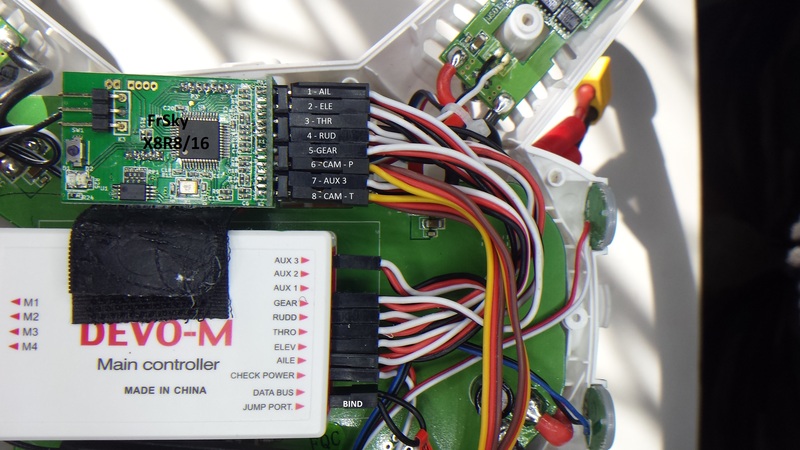 Using a combination of S.BUS and PWM outputs to fully control the copter. Inverted ELE and THR to match the stock settings of the NAZA. If updated from v1.0, .. 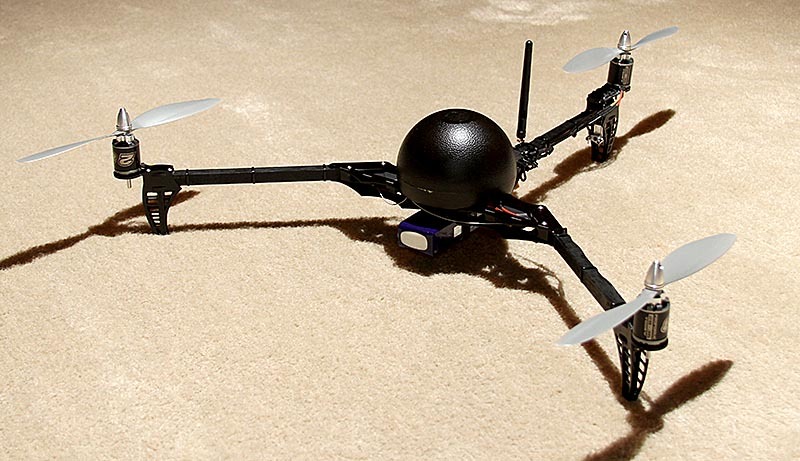 Basic Taranis setup for the Walkera QR X350 Pro quad. D/R, telemetry, gimbal control. Sounds and model image included (could be improved on...). Used with OpenTX v 2.0.4 and CompanionTX 2.0.4. Should work with V2.0+ though. This will allow you to go into a "Stagility" mode where you can set the NanoQX on Agility mode and when the right stick is moved to +/-90% in either direction it will pop the NanoQX back into SAFE mode. See the instructions below. Basic Taranis setup for the Walkera QR X350 Pro quad. 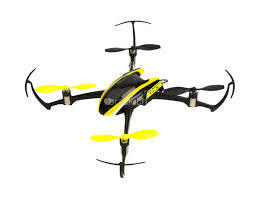 D/R, telemetry, gimbal control, 6 Flight Modes. Sounds and model image included (could be improved on...). Modified from the 350QX file from SLaSH, I'm just learning! I have physically swapped the switches SF & SH - used to TH on right - did not want momentary there. SB is flight modes, SC is rates. Setup for APM Copter. 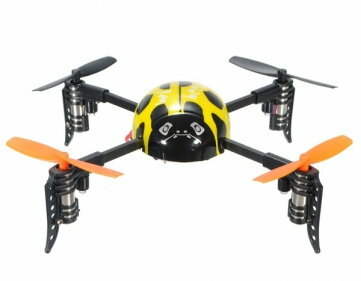 Six flight modes, RTL and AutoTune. Uses 6 position rotary switch in position S2. 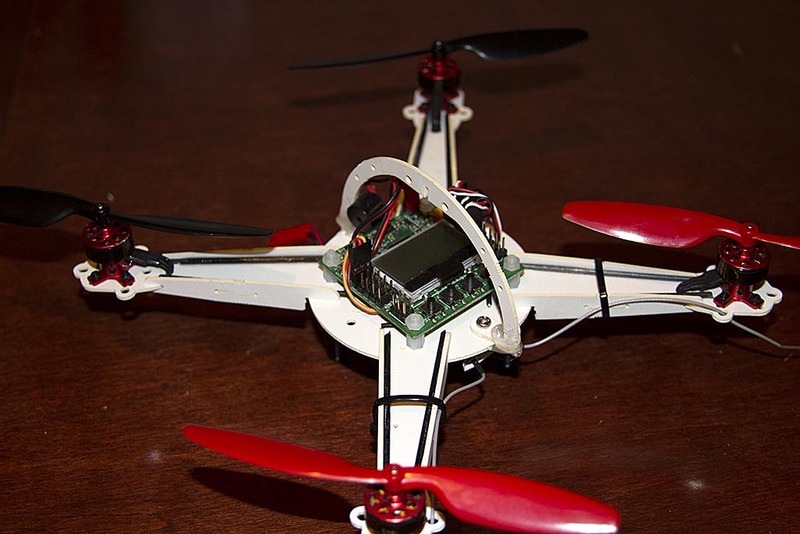 Perfect setup for X4R-SB using a Pixhawk, or X6R/X8R using an APM 2.x board. Used with Amber Voice Pack.